Service, Quality & Price - Our highest values. 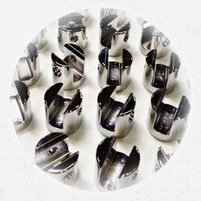 Specializing in ZINC Coating with growth capacity in other material types such as chrome, masking, bright tin, copper plating, nickel plating, Gold and many others. Fully committed to highest quality services we are reliable responsible and are always improving. WE ARE HERE TO SERVE YOU. We can handle any plating project. Accurate Plating Co. is a industry leading company providing services such as metal finishing that provide a proven solution in surface finishing across the range of sectors & industries. Plating is used to decorate objects, for corrosion inhibition, to improve solderability, to harden, to improve wearability, to reduce friction, to improve paint adhesion, to alter conductivity, to improve IR reflectivity, for radiation shielding, and for other purposes. Reel-to-reel, rack and barrel plating of contacts and components for the Automotive, Computer, Connector, Aerospace, and Telecommunications Industries. No Project To Big Or Small That We Can’t Handle. Accurate plating was established in 1950 by Don Orr. In the beginning, the company worked under unorthodox conditions utilizing a mix-match of various wooden baths and a few steel tanks in which our customer’s parts were electroplated. With the coming of the environmental conscious society came the need for chemical process changes. We were among the first to convert from cyanide base chemicals for our plating baths. Our commitment to quality, attention to detail, service and quick turn-around in the past 70 Years has earned us a reputation that is unsurpassed by none. The service life of Zinc Coating is a function of its thickness and the type of environment to which it is exposed to. While the conditions of exposure and uses of electroplated metal are so varied that it is not possible to predict the life of the articles protected by a coating of a given thickness, those using Zinc Coating can draw on the result of corrosion test carried out over the years. With the upmost respect for our clients & the process we have grown exponentially and sustained the company. Servicing clients of all industries we work to consistently innovate solutions to avoid our past errors with a system of learning, teaching & training our employees consistently. We value our clients input and are always looking for ways to improve. Since 1950 we are Accurate Plating Los Angeles, California February 2019. We are currently redesigning our website please feel free to look around as we improve your experience. Special Custom Metal Projects? We Can Help! ɴᴇᴇᴅ ǫᴜᴀʟɪᴛʏ, ᴏɴ ᴛɪᴍᴇ ᴅᴇʟɪᴠᴇʀʏ & ғʀɪᴇɴᴅʟʏ ᴄᴜsᴛᴏᴍᴇʀ sᴇʀᴠɪᴄᴇ? ᴀᴄᴄᴜʀᴀᴛᴇ ᴘʟᴀᴛɪɴɢ Is ᴛʜᴇ ᴄᴏᴍᴘᴀɴʏ ʏᴏᴜʀ ʟᴏᴏᴋɪɴɢ ғᴏʀ. Whatever your needs are, whatever technical requirements you need us to meet, whether or not you think the project is even possible — let’s talk about it. We’ll help you get started. Accurate Plating™ is a Registered Trademark of Accurate Plating Co.